Get it for $120 today, $100 off its list price. Indoor security cameras come in all shapes and sizes, and generally you get what you pay for. Unless you can get a killer deal like the one we found today. Amazon is selling the Arlo Q for $119, down from a list price of $220Remove non-product link, the best price we've seen this year and just a few dollars off its all-time low. This camera is built for indoor use and designed to keep an eye on your home in 1080p HD. The built-in motion detector has an adjustable range up to 50 feet, while the camera will even record at night in total darkness. Two-way audio will allow you to both listen in on the room and talk back, and you can add voice control using a connected Alexa- or Google Assistant-enabled device. Additionally, this smart camera will send alerts to your mobile device using the connected app, where you'll be able to access a recurring week of free cloud recording access. 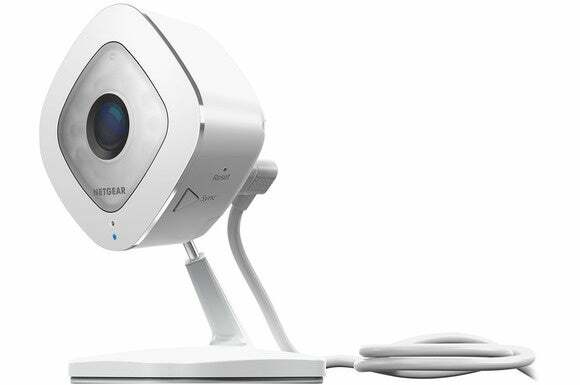 We gave this camera 3.5 stars out of 5 when it was under the Netgear umbrella (the company has since spun Arlo out as an independent publicly traded company), noting its personalized mobile alerts, customizable detection areas, and that cloud storage. And while we also noted it doesn't offer much unique value over other similar cameras, especially at this discount you'll get a lot of features at a low price. But if you're looking for something with a higher rating, check out our roundup of the best home security cameras.